United Artists Pictures, Inc. 1988. Director: Nadia Tass. Music: Eddie Raynor. LP (ST) EMI. EMX 790678. 1988. (CD DRG (USA)). Songs Phil Judd. * Keith Glass and The Honky Tonks. ** All Performed by Noel’s Cowards. Noel’s Cowards: Wendy Matthews (vocals), Michael den Elzen (guitar), Noel Crombie (drums), Nigel Griggs (bass), Philip Judd (guitar), Michael Harris (fiddle), Louis McManus (mandolin), Vika Bull and Lisa Edwards (backing vocals). Executive Music Producers: Chris Gough, Jim Mountford, Studio Management Services. All tracks recorded and mixed at Platinum Studios, Melbourne, Australia except instrumental score basic tracks recorded at Harmony House, Keith Glass and the Honky Tonks recorded at Fast Forward and Record Plant. Engineers: Chris Carr, Clive Martin, Eddie Raynor, Martin Pullan, Paul Kosky, Ian McKenzie. All SMS Music except “Recurring Dream” (Mushroom/Chappell/Control). (Rayner/Baker). Performed and Produced by Eddie Raynor and Brian Baker. (Finn/Hester/ Seymour/Hooper). v: Crowded House. Produced by Eddie Raynor and Neil Finn. Courtesy Capitol Records Inc. Special Markets. Performed and Produced by Eddie Raynor and Brian Baker. (Philip Judd). Performed by Noel’s Cowards. Produced by Philip Judd. and Michael den Elzen. In The Dark. ** (2:56). Tears Of Joy. ** (2:50). Just Like You. ** (2:28). Hard To Believe. ** (2:51). As Good As It Gets. (1:10). (Judd/Griggs/Crombie/den Elzen). Schnell Fenster. Performed and Produced by Schnell Fenster. Courtesy of EMI Records UK. (Chris Stockley). Blue Healers. Performed and Produced by Blue Healers. Couldn’t Happen To A Nicer Guy. (1:08). (Rayner/Baker). Performed and Produced by Eddie Raynor and Brian Baker. Last Call For Love. * (2:39). (Keith Glass). Performed and Produced by Keith Glass and the Honky Tonks. Courtesy of Missing Link Records. How Many More Moves. * (3:31). Hell Of A Job. * (3:51). 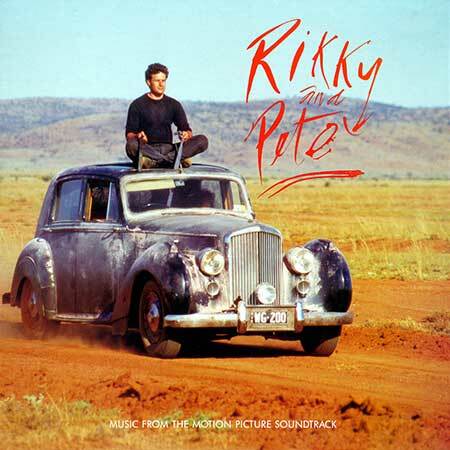 CD(t) (OP) (See COMPILATIONS - MORE GREAT AUSTRALIAN FILM & TELEVISION THEMES: Tk21).